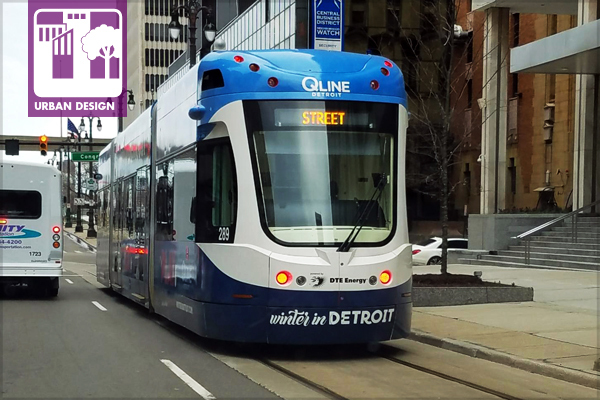 In our April 2018 Urban Design PPN Field post, we learned about Detroit’s approach to urban transit. Continuing with this theme of rust belt cities, we’ll now explore Cleveland’s challenges and achievements in connecting people to place. 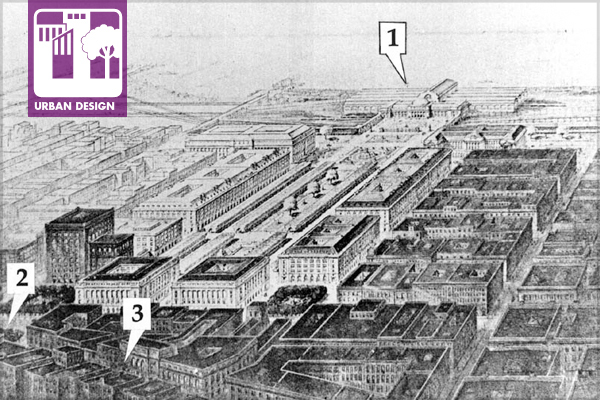 Whereas Detroit’s Woodward plan launched a framework extending far from the city center, Charles Burnham’s Group Plan for the City of Cleveland established only an immediate civic core. This was due mainly to the downtown’s unique geography, as the Cuyahoga River Valley isolated it from the more residential areas pushed to neighboring bluffs. Development in these areas loosely followed what translated in Iroquois to “the crooked river,” and could be best characterized as piecemeal; not following any distinct pattern, and often, the law. Atlanta BeltLine Inc in partnership with Trees Atlanta is establishing a 22-mile linear arboretum unlike any other in the world. / Image: Atlanta BeltLine, Inc. 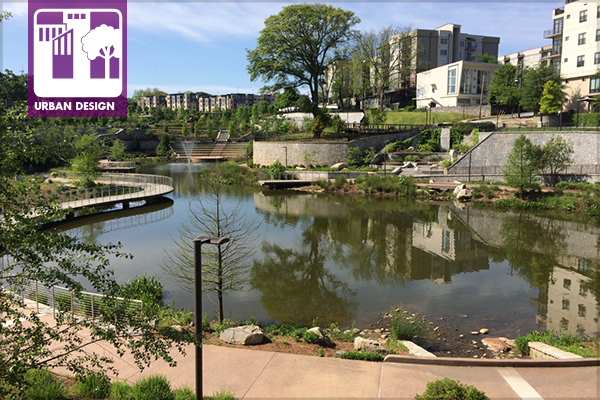 In this second of the two-part interview with Principal Landscape Architect Kevin Burke, ASLA, Kevin addresses facets of the BeltLine’s construction, funding and construction costs, social impacts, and public participation that he has been involved with. As stated in Part I, this urban design project is remarkable for its ultimate transformation of Atlanta that includes 22 miles of pedestrian friendly rail transit, 33 miles of multi-use trails, 1,300 acres of parks, 5,600 units of affordable housing, public art, historic preservation $10-20 billion in economic development, 30,000 permanent jobs, and, of course, sustainability. What is your role in “post construction oversight”? We believe that the upkeep of public funds investment is a basic parameter of our responsibility. 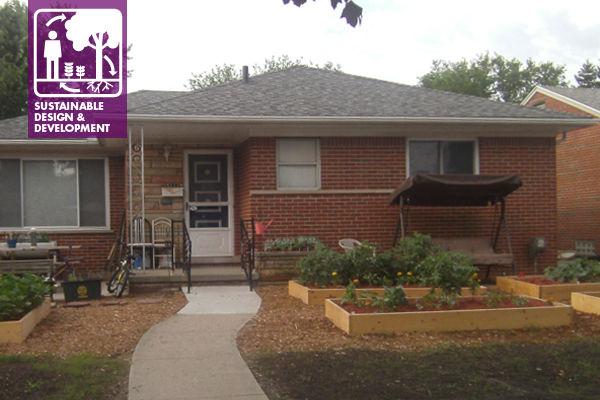 However, a significant level of our funding comes from a Tax Allocation District (a.k.a. Tax Increment Financing) tied to local real estate values on commercial/industrial/multi-family properties. This source was legislatively created to spur economic development and specifically precludes utilization of these funds for O&M. As such, we are somewhat hampered in our ability to do what most landscape architects would consider basic maintenance needs. The Parks and Recreation Department assists us, especially with graffiti removal, as resources permit. To aid our efforts, we established a “Fixit Line” that facilitates the public letting us know matters needing attention. 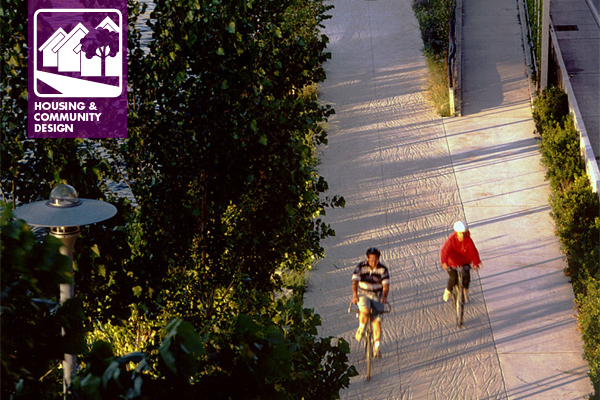 The Atlanta BeltLine is one of the most comprehensive urban design efforts in the current era and rivals others today such as San Francisco’s Mission Bay, Manhattan’s Battery Park City, New York’s Fresh Kills, Boston’s Big Dig, and the Orange County Great Park. As such, it is transformative for Atlanta, a city known for poor land use practices over the past quarter century. The BeltLine will ultimately connect 45 intown neighborhoods through 11 nodes within a 22-mile loop of multi-use trails, light rail transit, and parks – all based on abandoned railroad corridors that encircle Atlanta. 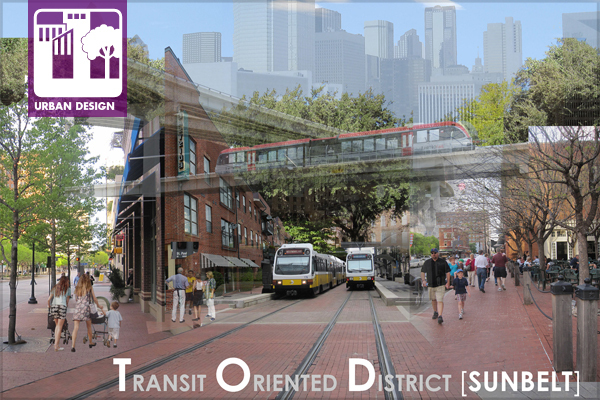 As an engine of economic development, it is demonstrating remarkable outcomes in adjoining areas comprising infill, compatible mixed land use, including urban housing, and thereby exemplifying transit oriented development. As with all urban design projects of this scale, identifying one firm or one individual to credit for the achievement is impossible. With regard to urban design and landscape architecture, however, a key individual who has guided the BeltlIne’s unfolding is its Principal Landscape Architect, Kevin Burke, ASLA. The following is the first of a two-part interview in which Kevin shares his experiences and insights concerning this remarkable achievement. Part I provides a general project overview and design considerations. 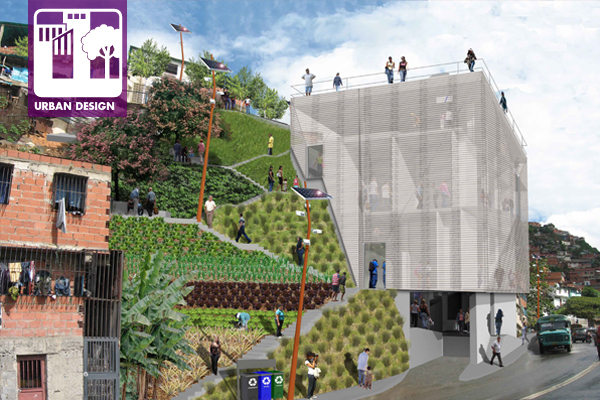 Part II addresses construction, funding and construction costs, social impacts, and public participation. The past ten years have brought no shortage of conversation surrounding the current state of America’s rust-belt cities and the endless number of impacts the 2007 economic crisis had on these important cultural hubs. There has been an on-going fascination with both the collapse and rebuilding of these struggling urban centers from economists, politicians, city planners, and residents alike. Almost five years since the nation’s largest municipal bankruptcy in Detroit, we are just starting to see glimpses of rebirth, and the majority of Detroiters are still questioning when they will feel the effects of this economic rebound. For urban centers, density promotes efficiency, and Detroit’s tremendous sprawl has created many challenges for the city. More specifically, a lack of reliable public transit has ailed the city for more than half a century. Detroit’s significant transportation problems began when the city was designed for complete car dependency, resulting in spatially separated land uses, wide roadways, expansive parking lots and a lack of pedestrian friendly urban spaces (Talen). Detroit cannot afford to delay improvements in its public transit system any longer. The successful future of Detroit is dependent on many economic, political and social factors, but the first step towards revitalization is reconnecting the city through an updated and expanded public transit system. There are many systematic problems that got Detroit to where it is today, but refocusing efforts on a regional transit master plan will allow the city’s residents to engage with and contribute to their city, and will attract new business and development to the Motor City. 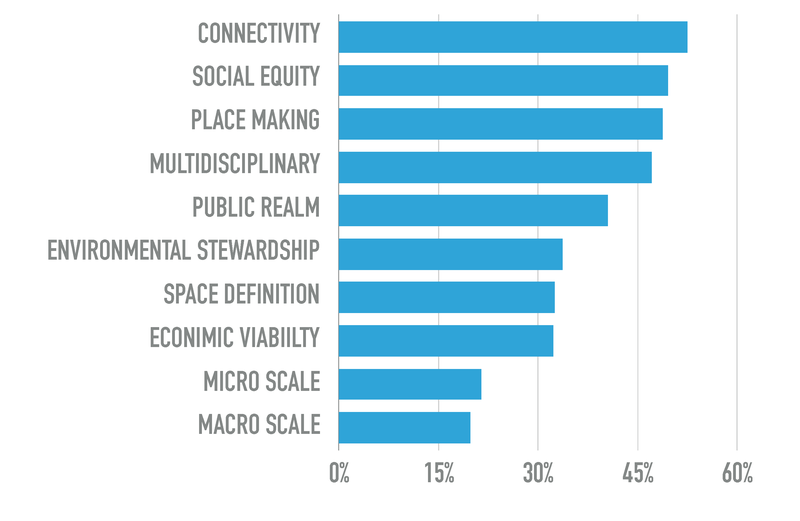 Our recent Urban Design Professional Practice Network discovery survey sheds light on elements necessary for successful urban design and definitions that best represent our members’ views of urban design as a profession. Our total PPN membership is almost 1,800, and we had 125 respondents, representing 7% of members. 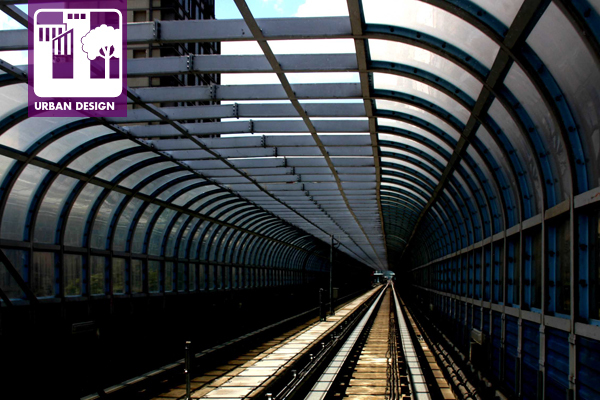 As an informal survey, it gives us insight into how our members view urban design. This now offers us a tool as we begin to look to the future of our PPN, finding ways to maximize the collective creativity and knowledge we have within our ranks. The first question asked willing participants to rate a list of pre-selected design elements based on importance in the successful design of urban places. No definitions were provided for each of these elements; participants were left to define, and ultimately rate, each element on their own. Trees are important to the composition of urban design proposals. 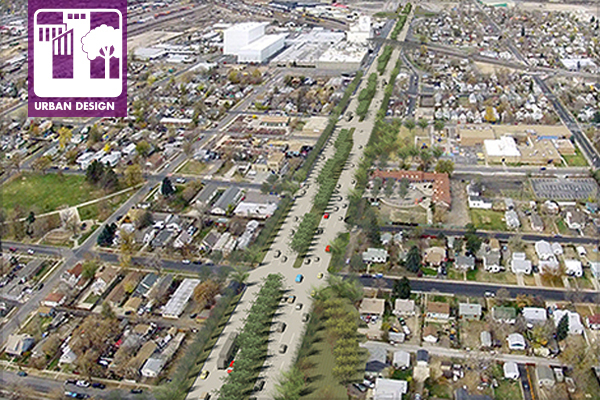 Drawings and sections show healthy, mature trees lining streets and punctuating plazas. There is an unspoken conclusion that a street without trees is not a complete street. 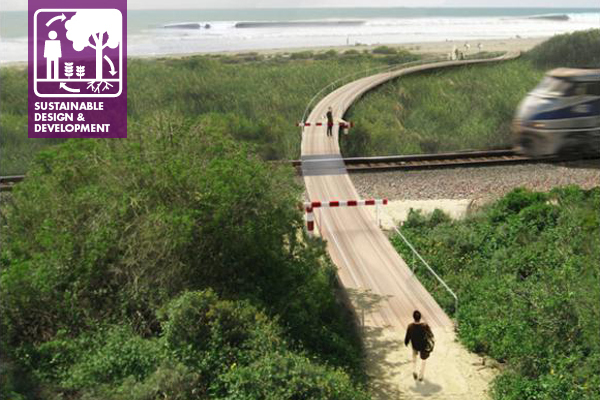 Yet there is a critical component missing from most of these renderings. Drawings almost always show the tree magically rising out of the ground plane with no means of support. Typically the sidewalk paving is shown right up to the trunk of the tree, the critical swelling of the trunk flare at the base of each tree above ground is not drawn. Also unspoken is the assumption that the trees will somehow find rooting space. The messy details of how the tree grows are left to the next phase of the design process. To be fair, urban design drawings, particularly the ubiquitous “typical” sections, also omit the building and light pole foundations. These omissions in the beginning of the planning process are to be added as the project moved forward. It is reasonable to assume the engineers and architects will put foundations under buildings and light poles, unseen structures typically built into the very first cost estimates. 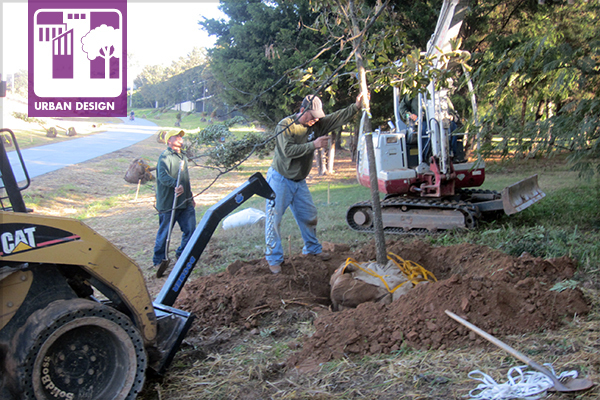 But sadly and all too often, the tree’s requirements and cost are ignored throughout the entire process. 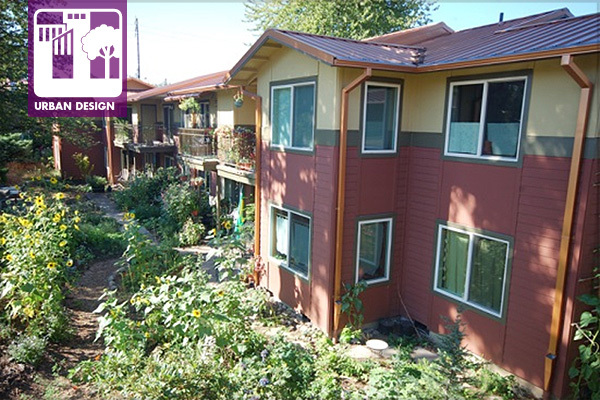 There are two basic elements of the tree that urban designers must incorporate into their drawings, reports, and cost estimates. These are (1) sufficient soil volume to support the size tree expected to grow and (2) acknowledging the structural requirements of the tree where it meets the ground. 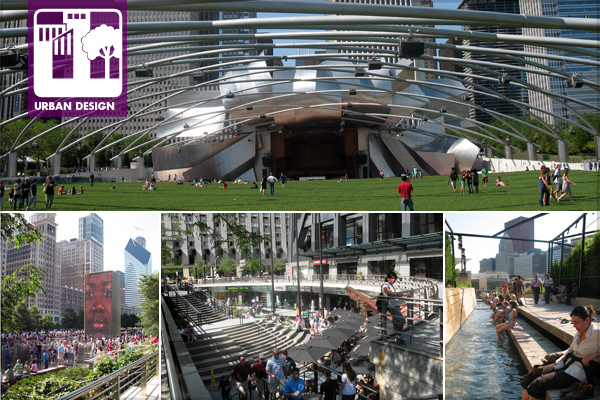 Join Urban Design PPN Members in Chicago! 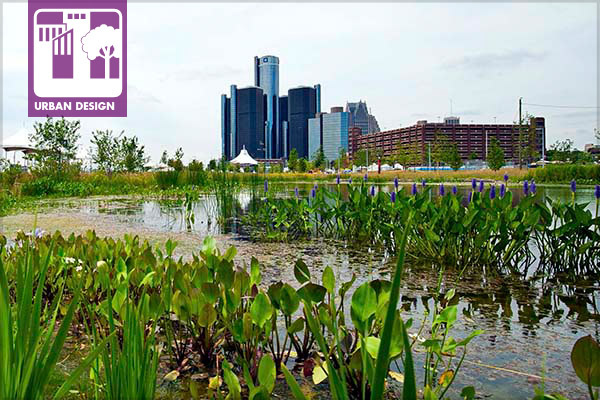 It’s only a few weeks away: the ASLA Annual Meeting! 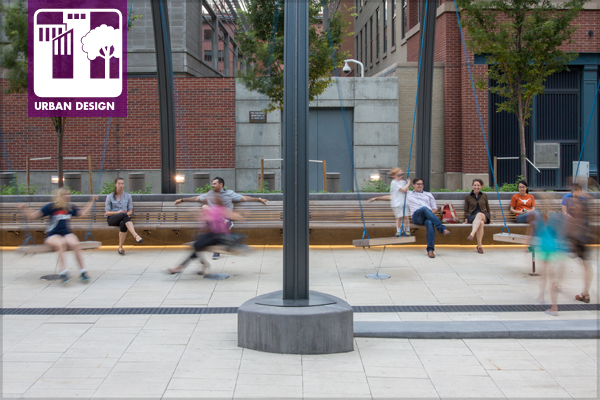 Below, you’ll find a preview of the Urban Design PPN Meeting, plus highlights from the rest of the Annual Meeting, including selected sessions on urban design from among the 120+ education and field sessions that will be taking place November 21-24 in Denver. 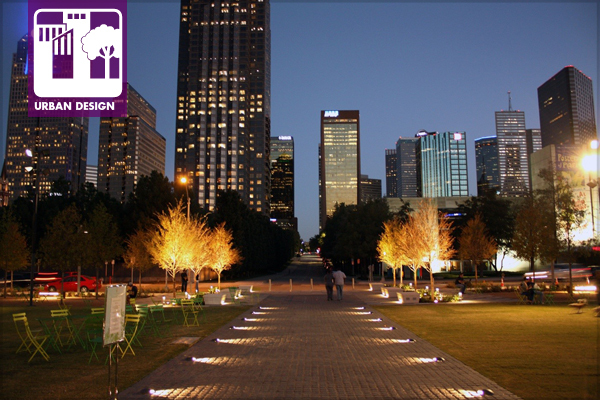 Landscape architecture’s role in urban design has become increasingly vital and more defined within the built environment. 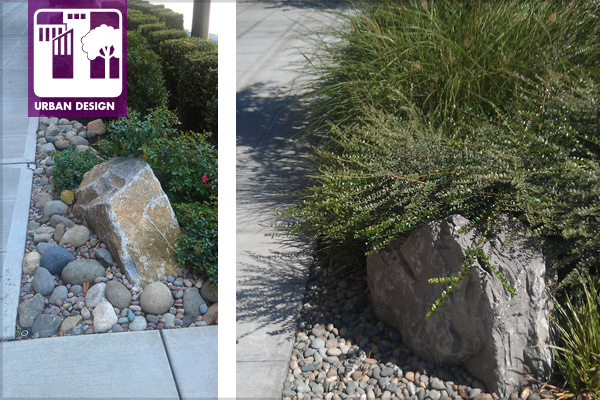 As a result, planners and developers are looking to landscape professionals to guide and cultivate strategies that not only support environmental sustainability, but also encourage interaction and reinforce authenticity. 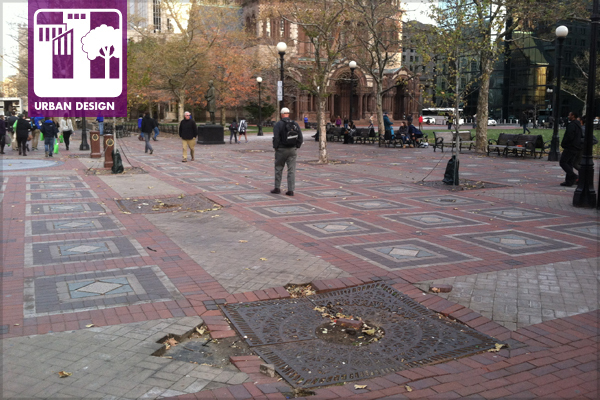 So what tools do Urban Design PPN members need as leaders and stewards in order to effectively frame the discussion and direct efforts in shaping our cities and towns? How can social media and other digital platforms be more effectively utilized? Are there initiatives that should be explored and presented? This and more will be outlined in the first part of the meeting. PechaKucha-style presentations (20 slides, 20 seconds each) will be given by 7 dynamic presenters demonstrating different aspects of urban design which are framed by landscape principles. Listed below are the scheduled presentations. 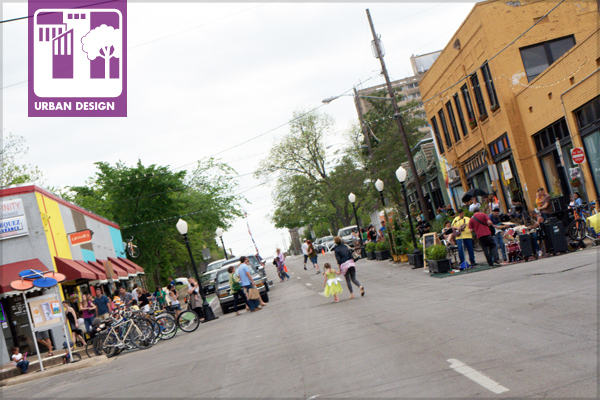 PARK(ing) Day, an annual event where parking spots are repurposed as pop-up parks and public spaces, is set for Friday, September 20, 2013. 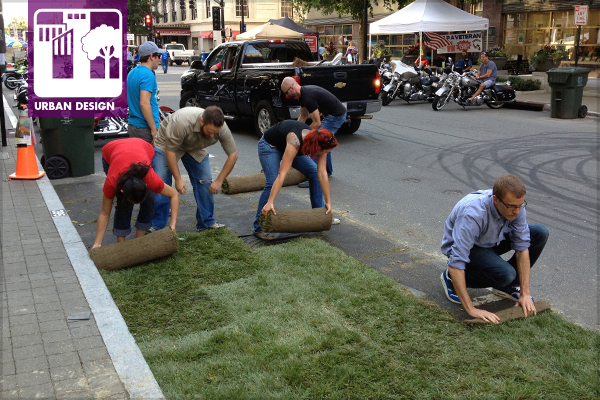 After starting out in 2005 with a single site in San Francisco, PARK(ing) Day has grown into a worldwide celebration of the potential for urban green space to take root, however briefly, on any available patch of pavement. 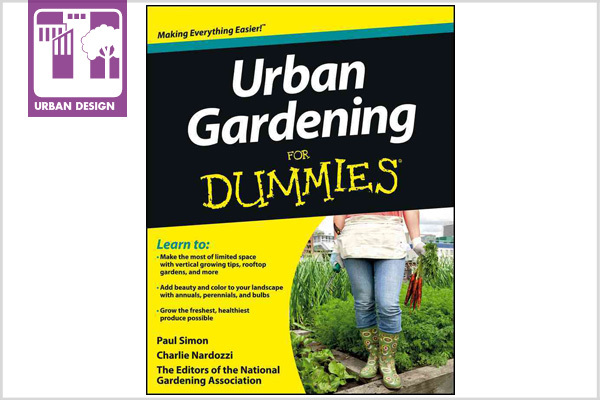 One of our very own PPN members, Paul Simon, is happy to announce the publication of a new book he co-authored: Urban Gardening for Dummies. 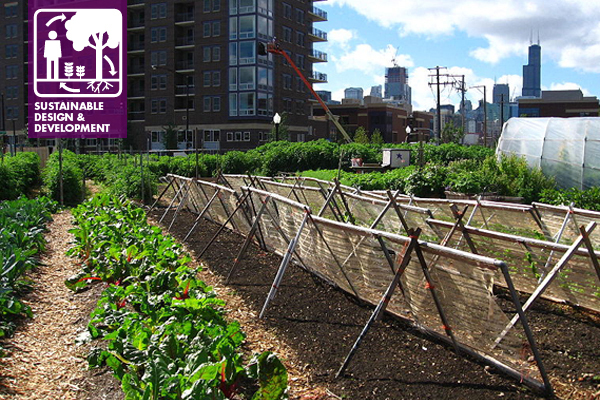 The authors provide a complete A-Z guide for the urban gardener. Topics include preparing urban soil conditions, how to plant, where you can plant, and the many types of plantings suitable for urban gardens. And, of course urban edibles are especially covered. You will also learn some techniques from reducing air and water pollution, how gardens may reduce crime, increase property values, and contribute to healthier, improved neighborhoods. 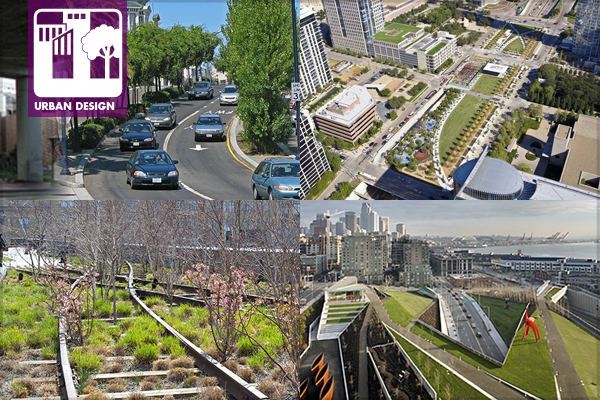 Landscape architects tend to be excellent generalists, but how well are we trained in the specialized art and science of “urban design”? A decade ago, a change in employment inspired me to strengthen my urban design knowledge, and in the process, discover a wonderful resource from the United Kingdom (UK). On my twenty minute walk to work through the streets of downtown Seattle in the morning, I came across an adorable and very well-trained Spaniel with her owner. She kept exactly to her owner’s side; no pulling on the leash, no jumping on strangers, no barking at pedestrians. She sat at the intersection patiently waiting for the traffic signal to change and continue her journey through the concrete wilderness. Being impressed that this owner obviously took the time to train his dog well, I witnessed the inevitable doggie squat and deposit — and then the pair just kept on walking. No doggie bag, no pooper-scooper, no acknowledgement that they littered the sidewalk. Unfortunately, this is a common scene in less crowded streets that lack the social pressure of the many eyes of passers-by. “So what’s the big deal?” you might be thinking, and “How does this relate to urban landscapes and design?” Great questions. Let’s build the case starting with that first question. 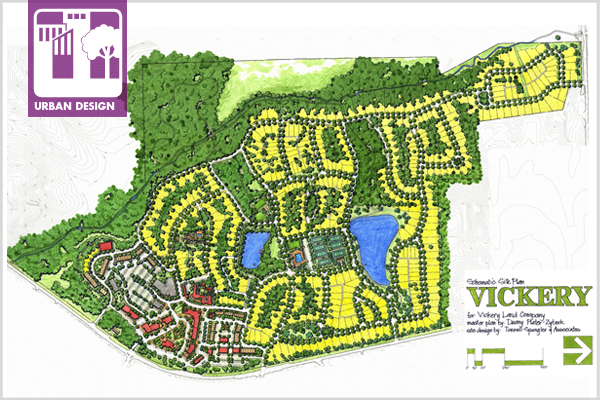 image: Michael Van Valkenburgh Associates, Inc. In recent years, authors and educators have identified a growing gap between urban culture and the natural processes that sustain it. The internet and other technologies provide instantaneous access to once-elusive environmental processes, eliminating the need for natural exploration. 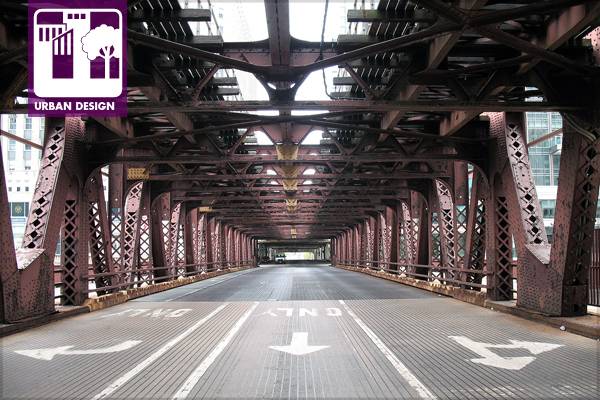 Identifying gateway locations that relate to the surrounding scale, background, foreground and day and night visibility is critical to a complete wayfinding system. 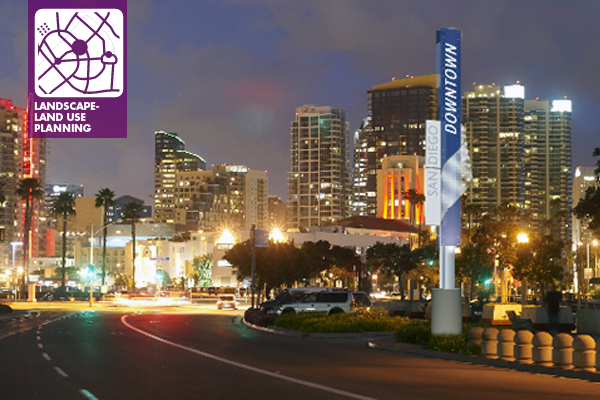 Planners, business associations, governments, visitors, and residents are becoming more aware of the importance of attractive and informative wayfinding signage to help them steer through the complexities and appreciate the changing environment of a city setting. 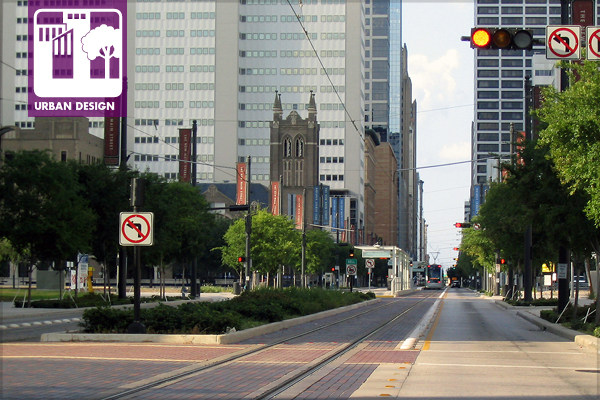 Incorporating a signage and wayfinding system as part of the planning process is critical to the effectiveness of an overall revitalization strategy. In less than 30 years, Taipei, Taiwan has undergone significant transformation in its cultural identity, its urban design, and its regional transportation systems. Taipei, the largest city of Taiwan, lies on the Danshui River 25 kilometers across the Taiwan Strait from China. Taipei City has approximately 2.6 million residents, and the metropolitan region has just shy of 7 million people. While Taipei is not the largest city in the world by any stretch of the imagination, the city is one of the most densely packed, due to the natural hilly topography and limited areas upon which to build city structures.